Ireland will host the International Conference on Composite Materials (ICCM) for the first time in 2021. Visit Belfast beat off competition from Venice, New Orleans and Lausanne in Switzerland to secure the event, which takes place every two years. It is expected to attract 2,000 international delegates to the city, generating around £4.1m for the local tourism economy. The win announced in the Chinese city of X’ian after a successful pitch led by Queen’s University’s head of the School of Mechanical and Aerospace Engineering, professor Brian Falzon. 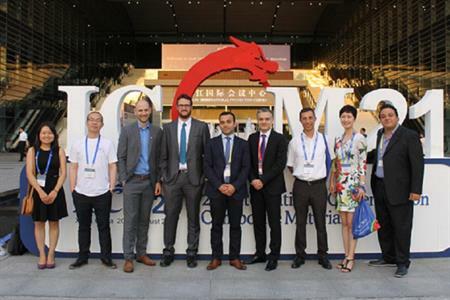 "ICCM is the Olympics of conferences in composites research, bringing together a global community of experts in this field, which continues to have huge research and exploitation potential," he said. "Winning this conference was the result of a tremendous team effort from Queen’s University, the Advanced Composites Research Group, Visit Belfast, the Belfast Waterfront and Conference Partners International, with everyone coming together to show that Belfast can successfully host this conference." Gerry Lennon, chief executive of Visit Belfast, said conference tourism is an "extremely important" part of Belfast’s tourism economy: "Last year, for example, we estimate that 74 conferences were hosted in Belfast, contributing around £32.5m to the local economy. Furthermore, research suggests that business visitors are likely to return to a destination as a leisure visitor at a later date, making this an important market for the city’s tourism industry. According to Lennon around 79% of these conferences are won with the support of ambassadors like Professor Falzon through the Visit Belfast Ambassador Programme. The network includes more than 1,000 local professionals who are experts in fields ranging from agri-food to oncology.